After two hours of work, the parliament finds enough votes. The extraordinary session of the parliament after several unsuccessful attempts oath on 29 September afternoon finally commenced voting the dismissal of judges who have violated their . The speaker one by one, put on dismissal of judges to vote. Some of the moves received the required support, others will be voted later in the day. In particular, the parliament dismissed a judge of Kyiv's Pechersk district court Svitlana Volkova who in late September 2014 has released from custody the former commander of the riot police squad Berkut Dmytro Sadovnyk, suspect in the murder of 48 Maidan activists. Sadovnyk subsequently fled the country. The legislature also dismissed a judge of the Supreme Economic Court Viktor Tatkov, who chaired the Court under the former president Viktor Yanukovych. The extraordinary session of the parliament had been convened on 29 September because the new procedure of dismissal of judges becomes effective on 30 September. 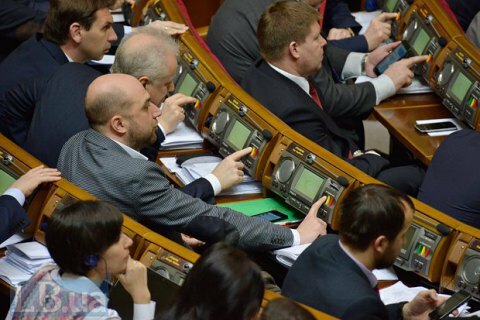 Under the new law, Verkhovna Rada loses the right to release judges from office.